In 1974, after a brief and inglorious fiirtation with the legal profession, I joined Coins & Antiquities Ltd, a well known Bond Street dealers who specialised in ancient and medieval coins and classical antiquities. There I received a superb grounding in all areas of numismatics, which stood me in good stead when I joined Patrick Deane Coins in 1978. Patrick's company, dealing in top quality English coins, took me all over the world, particularly to the United States. 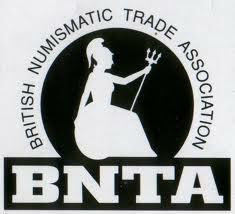 I set up my own business in 1985, dealing in all areas of numismatics. Increasingly I found myself drawn to the paranumismatic or exonumia side of coins and I now specialise in historical medallions, tokens, tickets and passes. This website will showcase these items, with an emphasis on how they relate to collecting in it's broadest sense, showing that they belong to the world of antiques and social history rather than the narrow confines of the coin world.